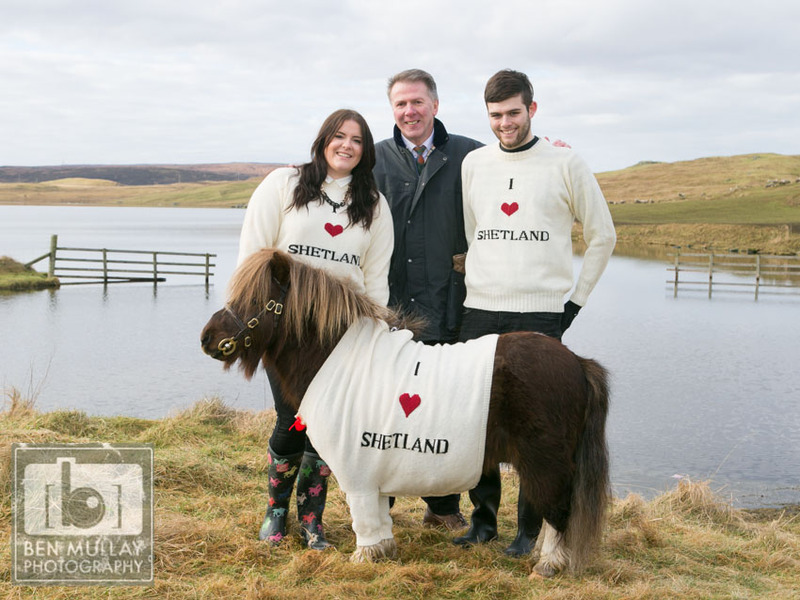 A young couple on a romantic first trip to Scotland have enjoyed a special “meet and greet” with Shetland’s most famous tourism ambassador. Londoners Chris Harrison and girlfriend Olivia Delnevo travelled to South Nesting over Valentine’s Weekend to meet Socks – the moonwalking star of Three’s hit television adverts – after winning a competition in December for the most outrageous Christmas knitwear. A recent survey revealed that more and more visitors are falling in love with Shetland with almost 65,000 people visiting between October 2012 and September 2013, boosting the local economy by over £16.2 million. 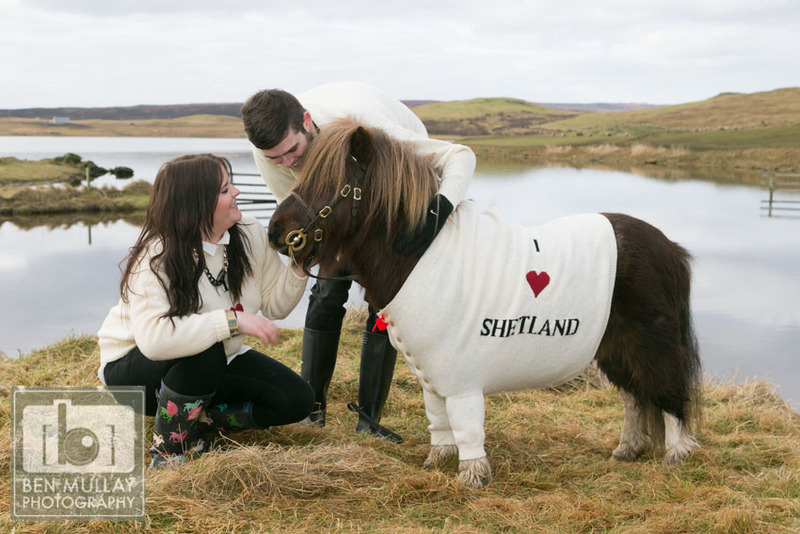 And Chris and Olivia were able to see exactly why so many people were galloping to the island after scooping their first prize to meet Shetland’s famous furry friend. 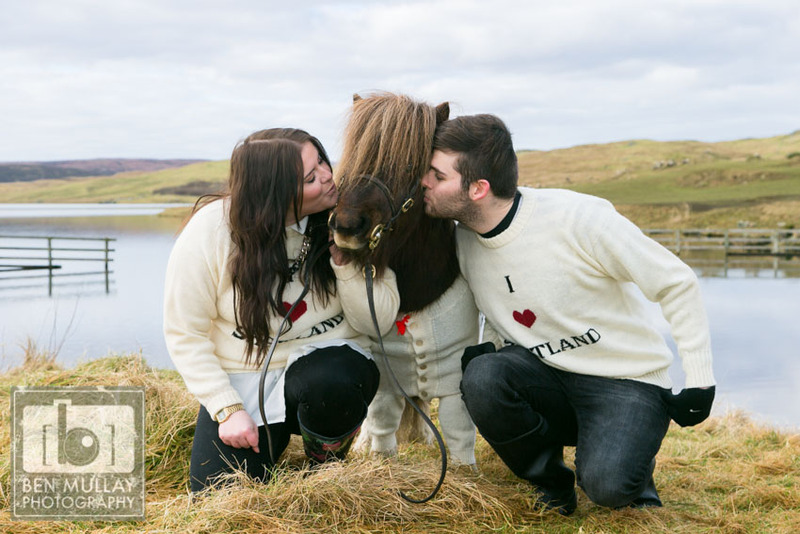 Organised by VisitScotland, Promote Shetland and Three UK, the ‘Knitwear Before Christmas’ promotion invited people to tweet pictures of themselves in their most flamboyant Christmas jumpers. Chris, 24, and Olivia, 25, won thanks to Chris’s outlandish festive suit which, he admits, is “the most hideous thing I’ve ever put on”! 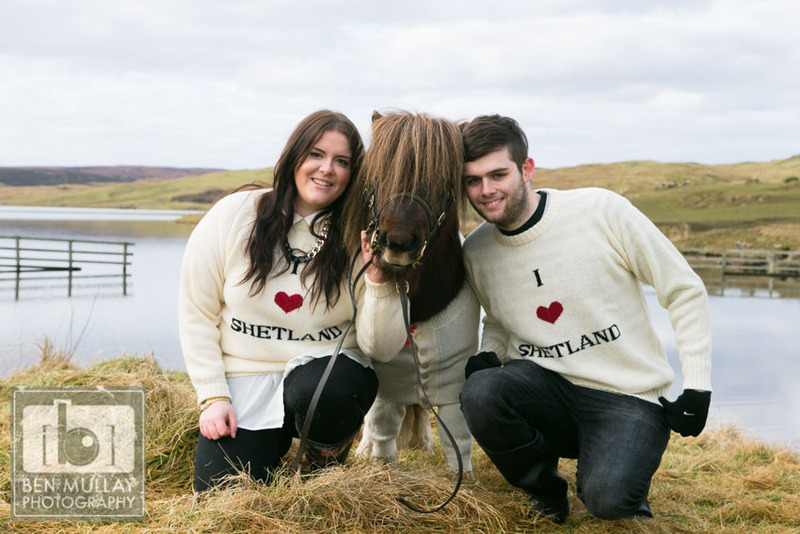 But the couple – and Socks – looked resplendent in the Northern Isles, with all three decked out in matching “I love Shetland” Fair Isle sweaters, specially knitted by local designer Doreen Brown. Three UK’s mobile phone adverts followed hot on the hooves of a VisitScotland marketing campaign to launch the Year of Natural Scotland in January 2013. 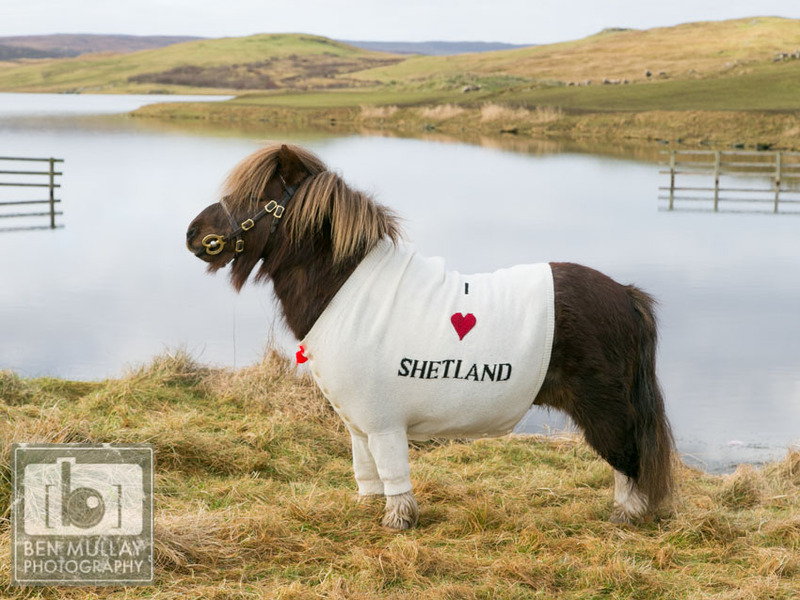 VisitScotland’s pictures of jumper-clad Shetland ponies Fivla and Vitamin become an overnight global sensation, with requests flooding in from some of the world’s biggest media networks. The ‘Knitwear Before Christmas’ competition was part of VisitScotland’s ‘Brilliant Moments’ campaign. Launched in November, the campaign promotes Homecoming, the Commonwealth Games and the Ryder Cup to national and international audiences through TV advertising, radio, print, outdoor and online. People are encouraged to share their “brilliant moments” in Scotland by tweeting @Visitscotland using the hashtag: #brilliantmoments.